In fact, the scene at Chowpatty, where both the employer Sera and the maid Bhima are at equal footing, and where the story finally unfolds, is my favorite in the book. 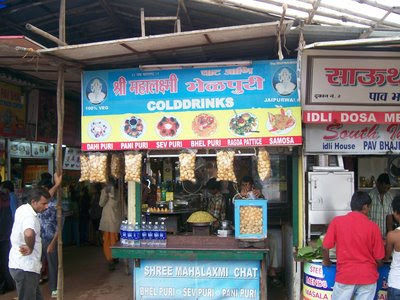 Which is why I decided to make the Bhelpuri both women were eating at Chowpatty. 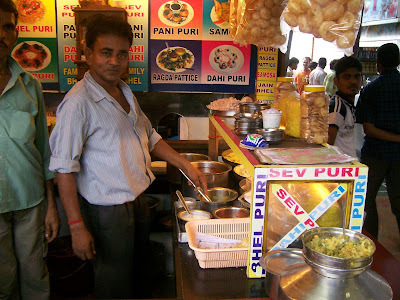 But Bhelpuri, that mishmash of ingredients that makes a delicious whole, is street food I never think of making at home. It's not even a recipe really, for all you need to do is get all the 10 odd ingredients and mix them up. 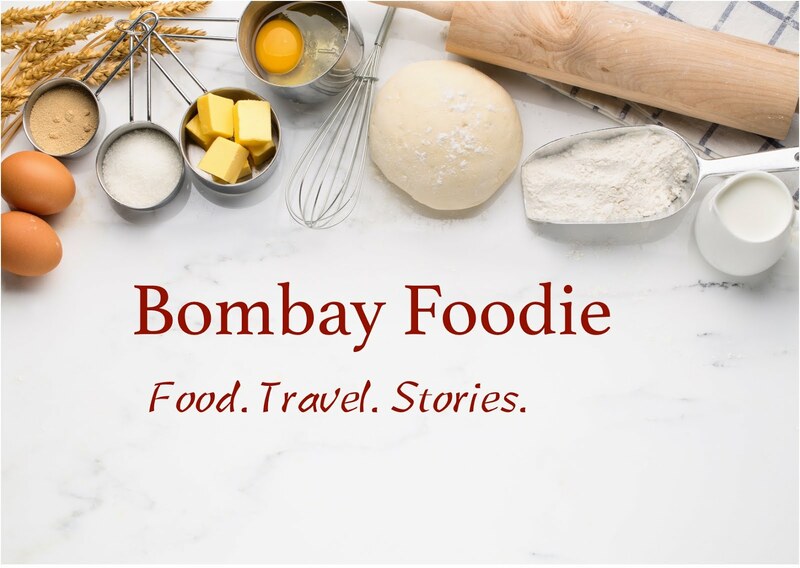 Rather than go find all the things that go into making a bhelpuri, I decided to take advantage of the fact that I can get Bhelpuri at Chowpatty just like the women in the book. And that's exactly what I did. I totally enjoyed reading and eating for the club this month. So did other members, who cooked up a Parsi feast among themselves. - Dee made Akuri, the traditional Parsi scrambled eggs breakfast. - Sweatha made Tofu Akuri. - Aqua made Vegetable Dhansak. - Jaya, our newest member, made mint tea. And in August, we are reading Pomegranate Soup by Marsha Mehran. If you would like to join us, leave a comment here and I will get back to you with details. 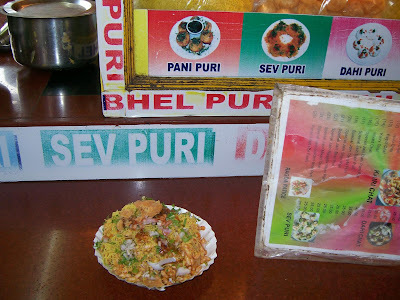 oh that must have been nice..bhel at chowpatty! been ages since I had that..
BTW, couldn't help but smile at sweatha's comment...even I was feeling very lazy to post yesterday...this inspite of having the entire post ready - all I had to do was download the pictures!! Hi, do you have membership open for the Book club? =) I'd love to take a stab at reading and cooking - you gals look like you are having fun!